I have recently interviewed dozens of in-house counsel from large companies. One subject that continues to come up fascinates me and reflects the changing practice of litigation-focused law. As my litigator turned litigation consultant colleague Ryan Flax says, "they call it the practice of law, but no one is practicing." That is, with so few trials occurring, the normal go-to litigators at big law firms are just not going to trial like they used to, and thus are not getting the practice that they used to get. Since that's true, where does one look for trial experience now, and will there be a shortage of experienced trial lawyers soon at large law firms? Let me offer some observations and five solutions. The same trial lawyers I once saw go to trial at least once per year a decade or two ago, now go to trial every few years—at best. In their non-trial time, they are not watching trials since they are not being paid to go watch trials, and they do not usually participate in mock trial practice either. The difference between how often a large law firm goes to trial, let alone a single litigator, and a litigation consulting firm like A2L has never been greater than it is right now. Whereas a major law firm may go to trial perhaps a dozen or two dozen times per year and a single litigator may go to trial every few years, a single litigation consultant at A2L will be involved in at least a dozen trials and often several dozen trials or more, every single year. If you think trial-loving partners at big law firms are unlucky, think of their associates, and ask yourself, how is anyone getting any trial experience any more? That is a question that in-house counsel are beginning to ask. As one noted, the people who now look truly comfortable in front of a jury are often plaintiff's counsel, since they are more frequently in court. One in-house counsel at a large company poignantly noted about about the plaintiffs' counsel they face, "they have a swagger and body language that comes from experience, and that experience comes off as confidence, and confidence helps win cases." 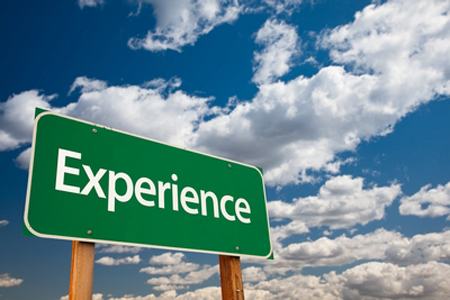 So, if in-house counsel recognizes that an experience gap is growing, what is the solution? 1) Litigation Consultants Add Experience to the Team: In-house counsel no longer expect a law firm to have all of the answers. They expect the involvement of litigation consultants early in a case. With litigation consultants in trial almost full-time, they are a logical add-on both from the trial team's and the client's perspective when considering early case assessment, mock exercises or trial. See, Litigator & Litigation Consultant Value Added: A "Simple" Final Product and 25 Things In-House Counsel Should Insist Outside Litigation Counsel Do and 21 Reasons a Litigator Is Your Best Litigation Graphics Consultant. 2) Learning by Doing Programs: Programs like those offered by NITA and others that allow for practice to occur should be a part of a litigators life-long-learning program every year. See NITA programs here. 3) Watch Trials on CVN: Until the Supreme Court figures out that televised trials will improve trial practice, there is an amazing resource trial lawyers can rely on. The Courtroom View Network captures video from trials and makes it available to watch online. In my view, every major law firm should be subscribing to this service to support the training of their litigators. See CVN discussed here. 4) Take Every Opportunity to Run a Mock Trial: In-house counsel support the idea of a mock trial but are often afraid of the time and money investment. That's understandable, and while a multi-panel mock trial will always yield the best data, there are other solutions like a focus group or a Micro-Mock. Each offers a litigator the chance to practice his or her craft. See, In-House Counsel Should Make Outside Litigation Counsel Feel Safe and 7 Reasons In-House Counsel Should Want a Mock Trial and Introducing a New Litigation Consulting Service: the Micro-Mock™. 5) Read this Blog and Others Like it: There are several organizations who are publishing information that is far ahead of traditional CLE's when it comes to litigation. The ABA recognized our blog as one of the top ten litigation blogs, and I have highlighted other blogs helpful to litigators in the past. Subscribe free to this blog here. See, The Top 14 Blogs for Litigators & Litigation Support Professionals and Top 100 Legal Industry Blogs Named by the American Bar Association.